This time around, I invite you to discover two unusual forms of sound synthesis: Formant and linear arithmetic synthesis. Formants are usually associated with a characteristic of the human voice or the sound production of certain wind instruments. 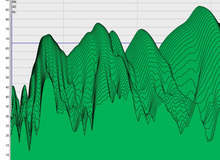 They are amplitude peaks of certain frequencies within an audio signal. 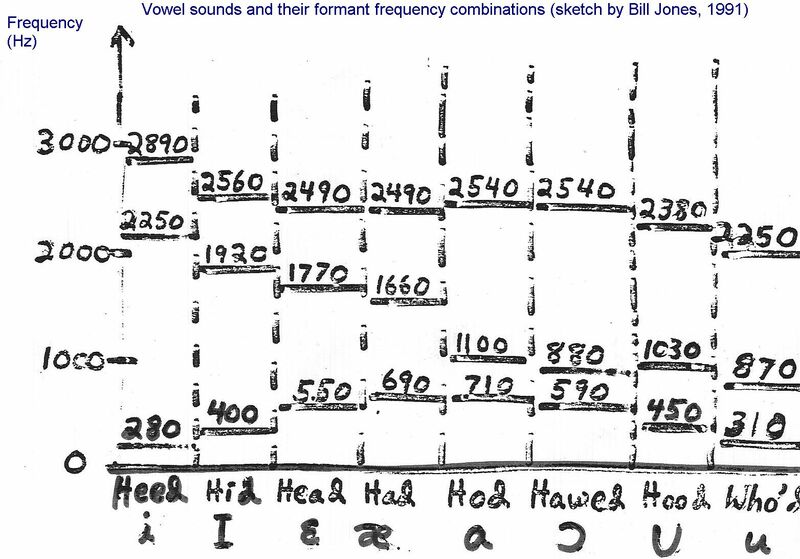 For the human voice, each vowel is defined by specific formants, which are also distinctive to the voice producing them. While pulsar and phase distortion synthesis we saw in the previous article recalled granular and FM synthesis, respectively, formant synthesis derives, at less in part, from physical modeling synthesis. It takes from it the concepts of excitation and resonance (see article 23). However, it also takes the concept of individual basic elements from granular synthesis (see article 19). These elements are the so-called formant-wave-functions (FOF), and they are among the main techniques used for this type of synthesis. This type of synthesis was used as the theoretical basis for the CHANT software, created at the French Institute for Research and Coordination in Acoustics/Music (IRCAM) by Xavier Rodet, Yves Potard and Jean-Pierre Barrière at the turn of the 1980s. The creators of CHANT started from the premise that the human voice is one of the most complex "instruments" that's ever existed. So, if they managed to master vocal modeling, they could conceive lots of other instruments. This kind of synthesis has become somewhat obsolete. 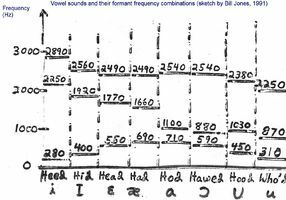 In fact, current vocal synthesis applications are primarily based on the a series of pre-recorded samples of phonemes that are artificially linked. Now you know why your GPS sometimes has a funny intonation. This form of synthesis ─ which is actually a clever way to take advantage of existing technologies rather than an innovation in itself ─ was developed by Roland and implemented in the D-50, which was launched in 1987 and was the company's' flagship synth for a number of years. It takes its name from the fact that its based on the sum of different sound elements, but with an approach fundamentally different to that of additive synthesis. Until the introduction of the D50, most Roland synths, as well as those of competing brands, were based on the principle of subtractive synthesis (see article 15). After the huge success of Yamaha's DX7 and FM synthesis, Roland wanted to release a competitor, without really giving up on subtractive synthesis, which it had mastered. The engineers at Roland came up with the idea of using subtractive synthesis to generate the signal waveform and attaching to it to it sampled sounds for the attack, while at the same time complementing the main waveform. Thanks to this trick, it was possible to obtain realistic-sounding attacks (which are a crucial element to identify a sound) thanks to the samples, while still enjoying the variation and "production" versatility provided by subtractive synthesis. At the same time, this allowed Roland to avoid the same pitfall as Yamaha, whose FM synthesis, despite enjoying a great success, put off a lot of musicians because it forced them to learn a new synthesis architecture.